I am so glad to present the round up of "Sweet Series". Thank you all for your delicious contributions and making it a very successful event. 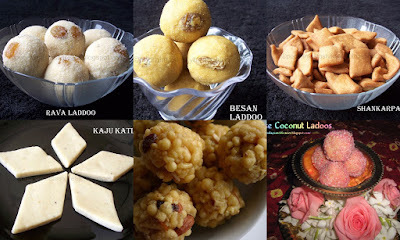 It’s because of you all lovely bloggers now we have various varieties of Sweets at one place. I am really very happy and thank you all for your support and encouragement. 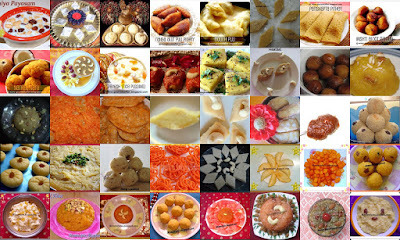 I apologize in case I have missed out any entry..Please leave a comment or send me an e-mail and I will update the same immediately..
wow, such a nice round up with so many entries.. bookmarked..
great round up for people with sweet tooth. 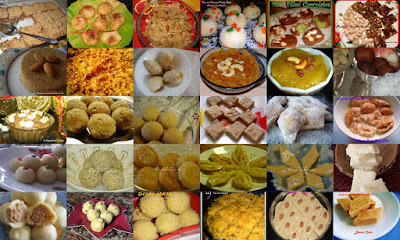 And I am one of them, Thanks for sharing many sweets in one page. Wow. So many sweets...great round up Sireesha. Thanks so much for hosting this event. Nice array of delicacies you've got there. Good round up.It's a dictionary of all sweets. Wow ..thats a wonderful roundup. You have done a great job dear. Wow! Great job! 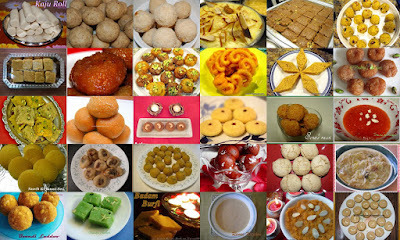 Somany sweet at one place,Sorry that I cud not participate! Hi Sireesha.Thanks alot for ur lovely comments:) beautiful round up with yummy and tempting sweets..
That was a delicious roundup.... many things to try out...lovely. lovely round up with delicious entries! Wow, thats a lovely round up, infact. All sweets in one place, cho chweet. Cool roundup.Thx for adding mine.